The Romanian people have been asleep for quite some time now. After more than 20 years since the end of Communist rule, Romanians have decided to wake up, to wake up and see that the faith they put in their elected officials has not brought them the life they wished for. The current economic crisis, the austerity measures implemented by the government, the corruption among the politicians, the undemocratic way in which laws are implemented by the executive branch, poor living conditions and other interrelated grievances have brought Romanians into the streets. It started about two weeks ago when the president, Traian Basescu, wanted to remove a highly esteemed medic from his job as an official in the Ministry of Health because he did not support the new healthcare law that was drafted by the president. This official, Raed Arafat, is a Palestinian who came to Romania and built the most advanced ambulance service the country had ever seen. For almost 15 years it has been the pride of the Romania healthcare system. But with the new law, this life-saving service would disappear. That was the spark which ignited the fire inside the hearts of Romanians. First, 500 people protested after several NGOs and activist groups, like Active Watch Romania and Militia Spirituala, posted a call on Facebook and other social media networks. After just three days, people from around the country started to gather in squares, especially University Square in Bucharest. The number of protesters throughout these two weeks of demonstrations has varied, from the 500 on that first day to more than 20,000 after only a few days. Nobody seems to have had a concrete plan for what has happened. The important thing was that the crowd was mixed—the elderly, students, activists with different causes and ordinary working people fed up with their living conditions—not just party or syndicate activists. People decided to bear fiercely cold weather in order to show their discontent to those in power. During these days of protest, some people took to violent tactics. Clashes erupted between the riot police and a group of football fans supporting the protesters, which resulted in injuries among some who had been protesting peacefully. Naturally, the media focused on these incidents, putting the entire protest in a bad light. However, other protesters have managed to turn the mood around, recognizing that nonviolent discipline would be vital to their cause. This kind of understanding isn’t something many Romanians have, though that may be changing. Most days, the young activists leading the protests in University Square have been instructing the crowd to protest nonviolently, and that is what happened for most of the days. They also surprised the media with tactics meant to show the world that they were not there to fight the riot police: offering flowers, big plastic hearts, tea and free hugs to police officers standing a few feet away from them; blocking traffic around the square while offering hot chocolate to people who got out of their cars and inviting them to participate; making snowmen and putting protest signs in their hands. Most importantly, they showed their determination to hold the line and maintain their presence despite the abuses inflicted by riot police. In recent days, a fierce snow storm struck Eastern Europe, but people, although smaller in number, are still going out into the square and protest. Already, this wave of protests has brought about results: the healthcare law, which was about to privatize the entire medical system and put thousands of medics out of work, did not pass and will probably not get into parliament any time soon. Raed Arafat has been asked to take up his old post, which he did, and the foreign minister, Theodor Baconschi, was demoted after he called the protesters “maggots.” The Constitutional Court also declared that the law to merge local and parliamentary elections of 2012 was unconstitutional—perhaps after hearing how many of the slogans shouted in University Square were against that law. 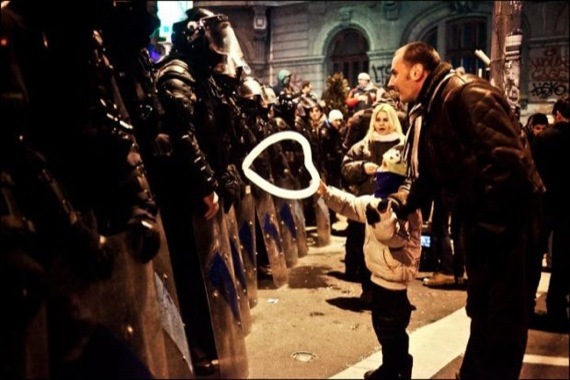 Overall, these protests show that a new way of thinking has emerged among the population of Romania. 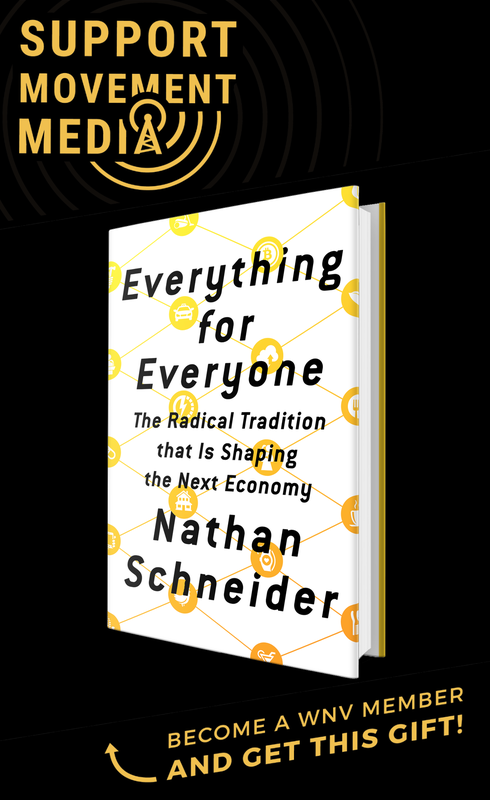 People are tired of the way things are going and have decided to do something about it—largely in a nonviolent manner. Whatever comes of the protests, they seem to be on the way to helping build a stronger civic society for in Romania the future, showing politicians that the people will not be ignored any longer.